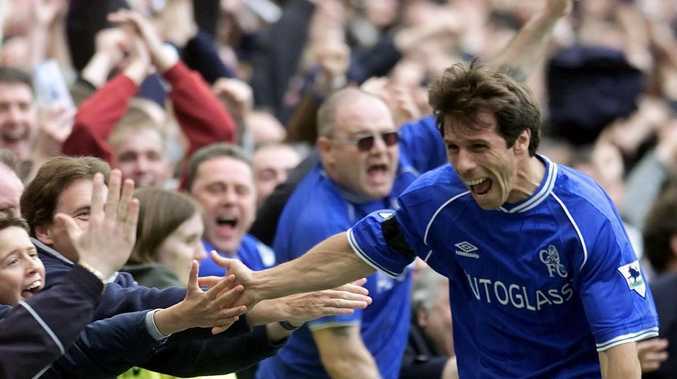 Gianfranco Zola celebrates with the fans after scoring for Chelsea in 2001. GIANFRANCO Zola has been named as Chelsea assistant coach to new manager Maurizio Sarri, marking a return to the club where he spent seven years as a player. 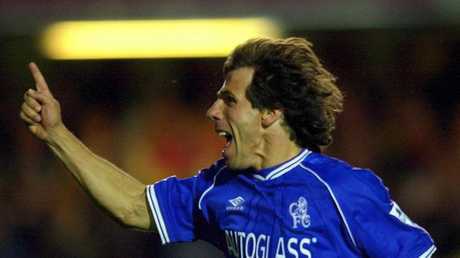 Gianfranco Zola celebrates after scoring against Arsenal in 2001. The 52-year-old played for the Londoners from 1996 to 2003, scoring 80 goals, including the winner in the 1998 European Cup Winners Cup final. He also won the Super Cup, two FA Cups and the League Cup during his time in west London. 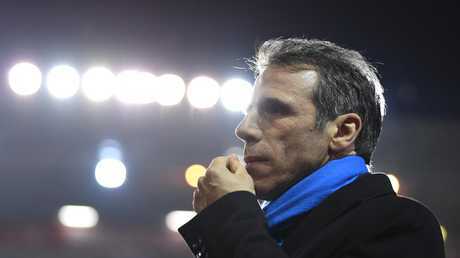 Gianfranco Zola of Birmingham City looks on during the Sky Bet Championship match between Birmingham City and Leeds United. "For me it is an amazing thing. I am very willing to work hard because it is going to be a difficult challenge but I am pleased to be here, and to work hard with Maurizio to be successful," Zola said. Roberto di Matteo (C) and Dennis Wise (R) congratulate Gianfranco Zola in 1997. Zola also played club football for Napoli and Parma and won 35 caps for Italy. As a coach, he has managed West Ham, Watford and Birmingham City who he recently left in April 2017 with the team just above the relegation zone. 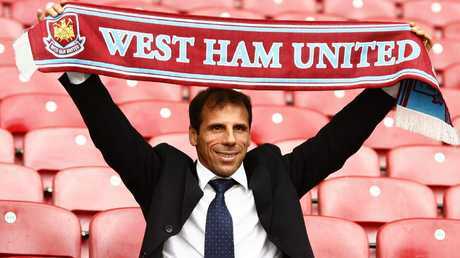 Gianfranco Zola holds up a West Ham United scarf after he is appointed their new manager.